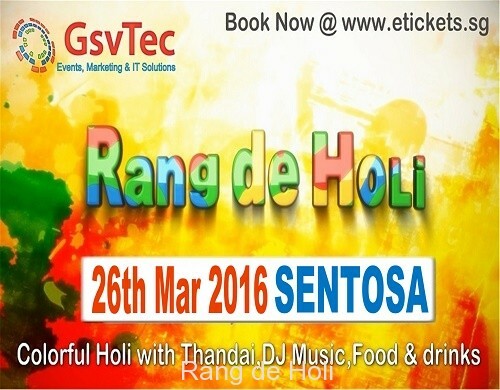 Rang De holi 2016 is a celebration of festival of colours in Singapore on 26th Mar 2016 in Singapore.a event bought to you by GsvTec Pte Ltd.
we have exclusive offers just for you EVERY one gets a Welcome drink THANDAI + Natural Eco Friendly colour. we have exclusive offers just for you EVERY one gets a Eco Friendly colour. 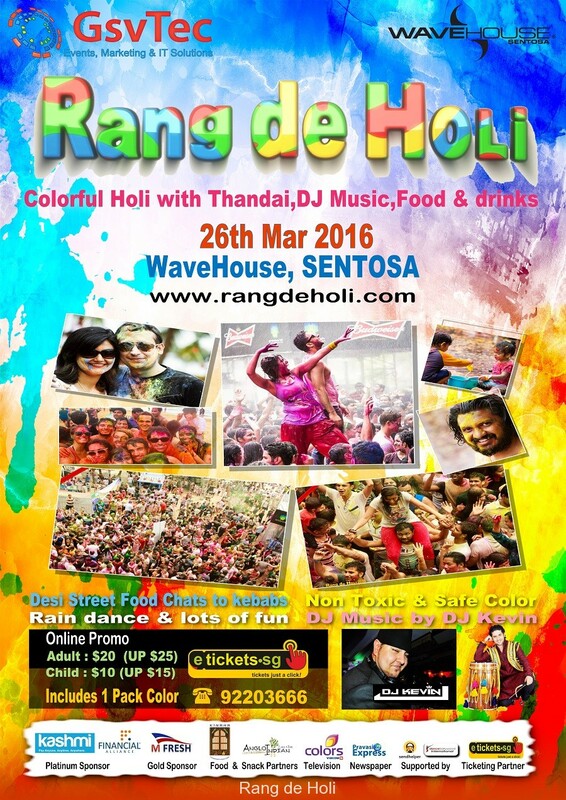 • Only 1000 baggage service will be available for rental at venue fr first come first serve.Pls come with least Baggage. • DSLR Not allowed as we will have event photographers we will upload them all post event for free on facebook page & event website.The Photograph’s & video’s maybe used for marketing purposes.If you wish your photograph’s not to be used or to be removed from the website and the facebook page .Pls let us know we will do the nedful. • All care has been taken to play holi with safe & non toxic colours,known to suit all skin conditions .we still insist you to a skin test before you use the colours.